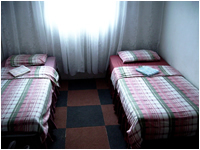 Lebo's Backpackers provides accommodation for 16 people in total. Kitchen facilities for self catering available. Cozy outdoor areas with braai, bomb fire and hammocks. Safe and secure parking space. 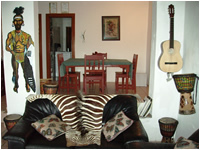 Walking distance to shebeens, restaurants, shops, museums and taxi- and train station. Shuttle can be arranged from Johannesburg main bus station and airport. 15 Minute walk to famous tourist attractions such as Hector Pieterson Memorial / Museum & Nelson Mandela Museum, also Sakhumzi’s Restaurant. For transfer and Soweto tour arrangements let us know what time you are arriving, if you would like to do a tour and what you would like to see and we will arrange that for you as well.